This is great news for Shillong DD Freedish viewers that Doordarshan Prasar Bharati added DD Shillong channel on DD Freedish DTH. DD Shillong is Prasar Bharati owned TV channel telecasting from Doordarshan Kendra from Shillong. 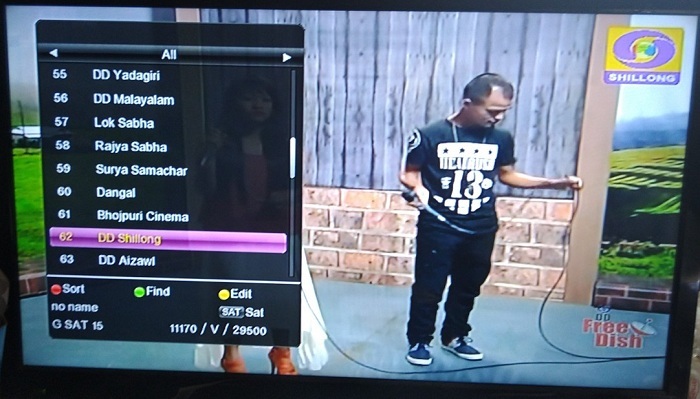 Now Shillong viewers can enjoy local programs, local news and other important information on their television sets. DD Shillong produces and telecasts a large variety of programs in a local language such as musical shows, documentary, serials, informative programs, current affairs, health. If you are not still not getting this channel then you can tune your set-top box at given below DD Freedish frequencies. 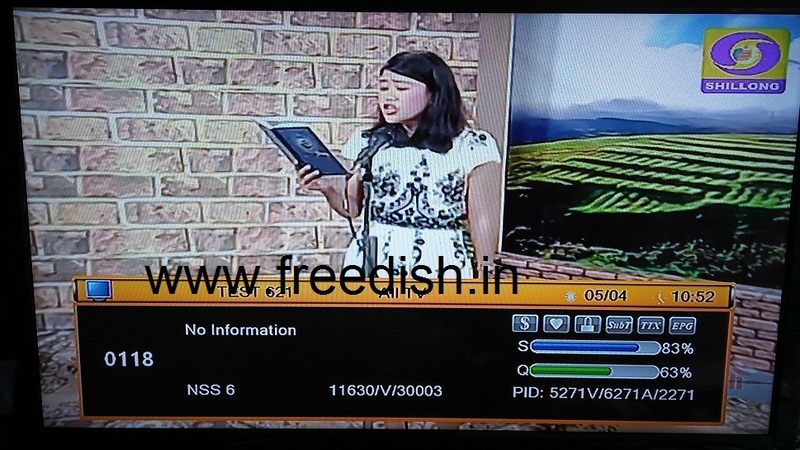 In same transponder, DD Freedish also added DD Agartala, DD Aizawl, DD Itanagar and DD Shillong Doordarshan regional channels. You can view updated DD Freedish MPEG-4 channels list from here. 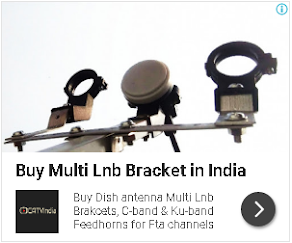 Please keep visit us on www.freedish.in for latest information of DD Freedish DTH, India's only free-to-air DTH service.